Everyone’s looking to get the best deal possible when it comes to picking up a used car. That’s why you’re cruising used lots and not stopping by the gleaming showrooms of new-car dealers in the first place. It’s easy to get swept up in the smooth-talking ways of a seller, whether it’s a guy across town or a professional dealer. It’s their job to highlight all of the good things about their vehicle and downplay any of the car’s negative aspects. While some selling points like a great maintenance record and new parts may make a vehicle a good deal, others should be viewed with a skeptical eye. Check out DriverSide’s list of five used car red flags. We’re not talking about windshields. Those fall prey to flying rocks and debris on a daily basis, and for the most part they never allow water to enter the vehicle. Side and rear glass, on the other hand is a different story. 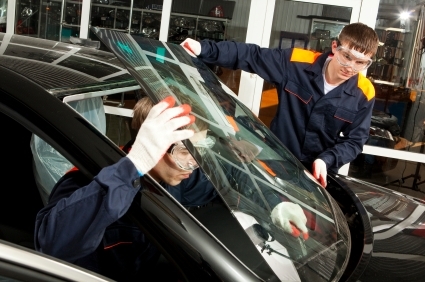 While windshields are made up of special glue-laden glass that keeps it from shattering when broken, side windows aren’t so lucky. When cracked, those shatter just like you would expect, leaving a gaping hole for water, wind and leaves to bum around inside of the vehicle. If the problem is taken care of quickly, odds are there won’t be much in the way of damage to the car’s interior, but if it has been allowed to sit there may be water damage inside, including mold and mildew. Best to keep a look out for any potential mold issues. In general, it’s pretty rare to come across a newish used car that’s had its interior replaced, and for good reason. Manufacturers specifically choose materials that can hold up to years of use without fraying a stitch, so when the used car you’re interested in proudly boasts a new interior, it’s time to raise some eyebrows. A few likely reasons for having an interior replaced are water damage (either from flooding or broken windows), small interior fires or having spilled some sort of food inside. Think milk or eggs. While by and large replacing the interior takes care of these issues, there may still be underlying problems. There could be damage to the vehicle’s electrical system if there was a fire, and long-term exposure to the elements lays the groundwork for rust. As always, take your time looking the car over and don’t take the plunge if you have any funny feelings about the vehicle. While gearboxes are incredibly complex pieces of equipment, they’re designed to take all of the heat, horsepower and torque a vehicle can throw at them under normal circumstances. That doesn’t mean they can’t fail under incredibly hard driving or especially neglectful maintenance. Just like a new engine, if an ad boasts about a new or rebuilt transmission, be sure to get the full story from the seller. If they say the unit randomly failed, it’s a good possibility user error is to blame, and the rest of the vehicle likely suffered poor care as well. Check to see if it was replaced under warranty for parts failure. A good, full-system once-over by a trusted mechanic is a must in this situation. A good used car should generally be less than five years old, and any modern vehicle that’s seen even a hint of regular maintenance should be good for hundreds of thousands of miles. That means the odds of needing a new engine within the car’s first few years on this planet are pretty thin. Usually, the installation of a new engine means the car's seen complete neglect or serious abuse at the hands of the previous owner. Even if the old mill has been replaced with a brand-spanking new one, odds are other systems in the vehicle have seen the same level of care, and you may be in for a few nasty surprises within the first year of owning the vehicle. That doesn’t mean every car with a new engine has a checkered past. It’s possible something like a factory defect caused the swap. Just make sure to ask the owner for details and documentation to back up their story. Keeping with the five years old or less theme, since manufacturers use paint designed to last well beyond that time frame, there’s really no need for a new coat outside. While you’re likely to come across plenty of ads proudly proclaiming the expense and quality of a new hue, be wary. Odds are all that shiny paint is concealing some sort of damage. Be sure to get a quality vehicle history report to make sure there have been no reported accidents in the vehicle’s past. If it comes up clean, that doesn’t necessarily mean the car hasn’t been in a fender bender, it just means the damage wasn’t reported to an insurance company. If you come upon a deal with new paint that seems too good to pass up, be sure to have the car checked over by a quality mechanic you can trust before signing anything.